Many people talk about advocacy and there are many perspectives about what it means. At Arts Access Aotearoa, we incorporate advocacy into our role in the context of social change. Rather than the legal term (to speak for or represent somebody in a legal case) or the political term (to lobby as an interest group), we’re all about social change. That is, we connect with people and organisations to promote their stories, examples of projects and achievements – anything that grows social awareness to improve accessibility and inclusion in the arts. I’ve never forgotten this and a great example can be found in Sarah Houbolt. Circus performer Sarah is a Be. Leadership graduate and also received the Arts Access Artistic Achievement Award in 2012. Her show, KooKoo The Birdgirl, at TAPAC in Auckland until 13 November explores the life of Minnie Woolsey, who was born in 1880 in Georgia and became a freak show artist. 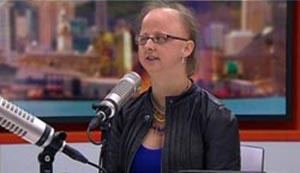 Sarah was interviewed by Paul Henry on TV3 Breakfast and the interview is an excellent example of "showing up”. Not only that. Sarah demonstrates confidence and positivity in what she does, and is a fine example of how to present yourself in a television interview. Congratulations, Sarah. Another person who has put himself out there is Michael Krammer – dancer with Jolt Dance in Christchurch. 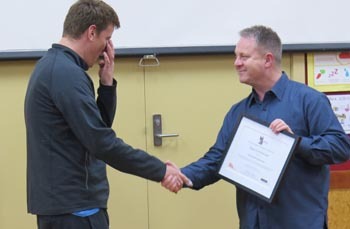 Michael was unable to receive his Highly Commended citation at the Arts Access Awards in Wellington in July so I took it to him in Christchurch on 4 November. After a rehearsal and in front of his family and fellow Jolt dancers, it was a pleasure to commend Michael on his career with Jolt. 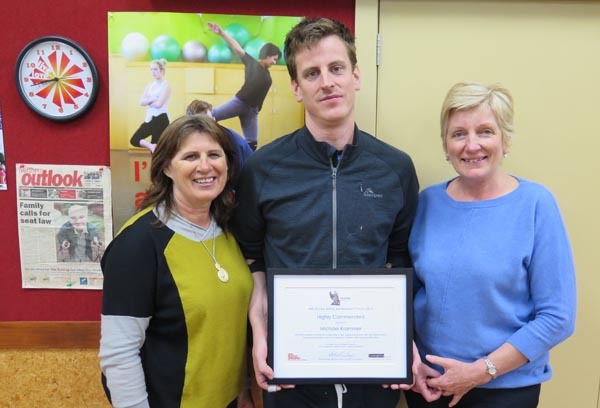 Michael has achieved a great deal in dance performance and these days as an assistant teacher. Incidentally, Michael is one of five artists around the country profiled in the I’m an Artist Campaign poster in 2014. These are some of the people making a difference but organisations are also doing their bit to make the arts, entertainment and culture of Aotearoa more accessible. Through the Arts for All networks, members such as producer organisations and live performance venues are being change agents to make their art and events more accessible and inclusive. The Christchurch Arts For All network is going great guns. It was great to learn from Josie Whelan, Education and Community Engagement Manager at SCAPE Public Art has produced its accessibility and inclusion policy. This well-written and simple document explains how SCAPE approaches accessibility and how its commitment to inclusion is embedded in its governance and longer-term planning. And Christchurch will soon have its own audio describers! Thanks to funding from the Christchurch City Council and Creative Communities Christchurch, the Blind Foundation has worked with Rachel Sears from The Court Theatre and Claire Noble, Community Development Co-ordinator for Arts Access Aotearoa, to present a training course for new describers for Christchurch. This is no small achievement, and it’s the result of community advocates and local arts and entertainment producers such as The Court Theatre making it happen. We can look forward to the first audio described performance for blind theatre patrons in Christchurch. You can be sure Art Access Aotearoa will be "all over it”. I had a very nice surprise this week. 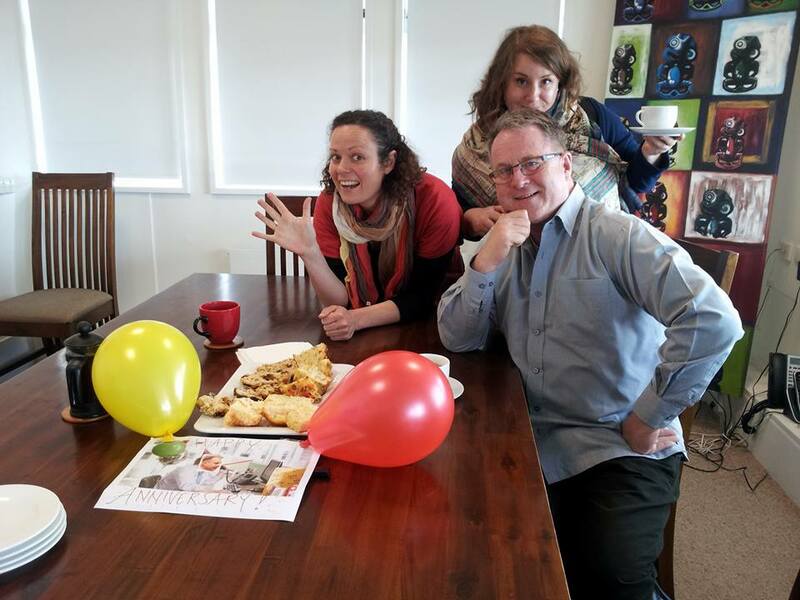 The thoughtful staff at Arts Access Aotearoa remembered it was my five-year work anniversary, and we celebrated with balloons and morning tea. The time has flown but that’s because we’ve all been busy advocating for the most inclusive and accessible arts scene we can achieve together. Here’s to the next five years! Original generation time 1.7136 seconds. Cache Loaded in: 0.0474 seconds.